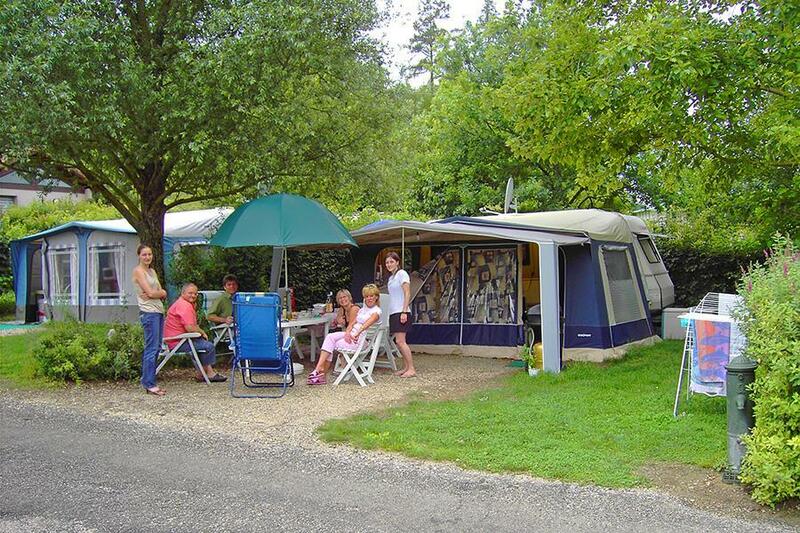 Camping du Moulin is a campsite with 46 touring pitches and 11 year round pitches. During low season, between 01-04-2019 - 10-07-2019 and 28-08-2019 - 30-09-2019, the nightly rate is €14,- at one of the 46 touring pitches at Camping du Moulin in Meyrieu-les-Étangs (Isère). At this campsite you can not only use your CampingCard ACSI for inexpensive camping, you can also use your ACSI Club ID (as an alternative ID). At this quiet site on a small lake you will stay close to nature. Spacious marked out pitches and modern toilet facilities. Trees provide some shade. Recreation centre across the lake with a beach and a restaurant. Would you like to book Camping du Moulin or request more information? You can do both using the information below or by visiting the campsite's website. A43 Lyon-Grenoble, exit 7 Bourgoin/Jaillieu. Follow signs 'gare SNCF' in the centre. Then take the D522 towards St. Jean-de-Bournay as far as Meyrieu-les-Etangs, 12 km. 'Base de Loisirs' is signposted before the church in Meyrieu on the left of the road. CampingCard ACSI will send your information request to "Camping du Moulin".